I won this book from Goodreads First ReadersThis is a great little book. 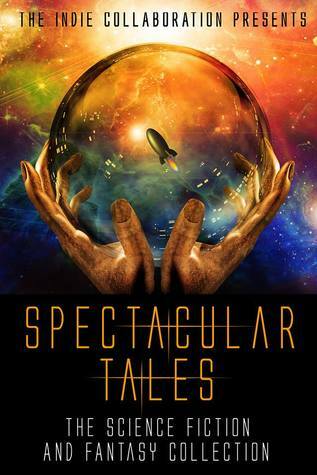 I'm usually not a fan of short stories, and I'm picky about my sci-fi but I enjoyed this collection. I did read the majority of them, I skipped a couple I didn't think I would be into (space) but I loved the fantasy stories and found some new authors to look into for future reading Thanks Goodreads! I won this book in a goodreads giveaway. My favourite stories in this anthology were "The App", "A Hard Day's Night" and especially "Dino's Paper". Most of the stories were witty, which is good because sci-fi without humour is usually dry. I'm in it so I shouldn't comment. ChrisRaven A.L. Butcher Donny Swords Kristina M. Blasen AlanHardy - Chris Raven was born in south London just shy of 50 years ago. He originally started out in Theatre in the 1980s but he became side-tracked by health and social care, where he has made his living for the past 20 or so years. More recently he has found his way back to the creative arts by contributing a number of short stories to the Indie collaboration’s series of free anthologies. He has also been coordinating a shared writing project with other new writers called ‘Tall Stories’.Chris is currently experimenting with a number of different formats and genres, including poetry, short storytelling and play-writing.You can visit Chris at amazon/author/chrisravenashwords/profile/view/ChrisPRavenrisravenblog.wordpress. chrispraven.